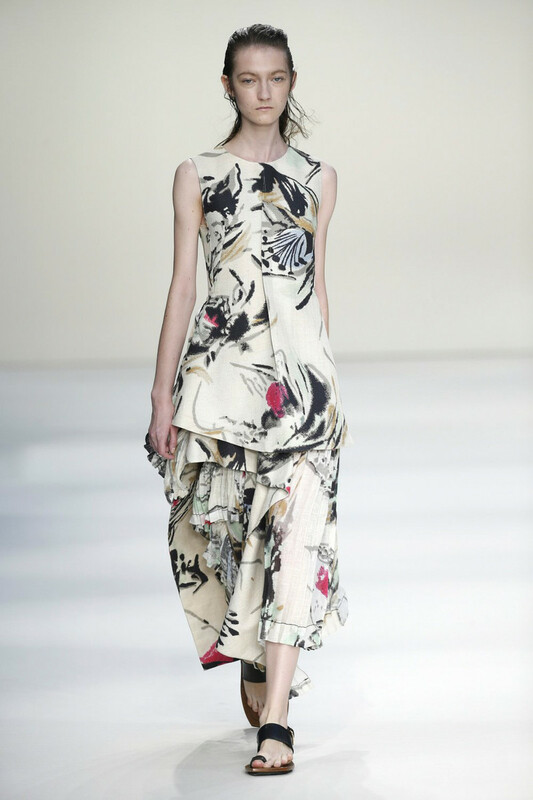 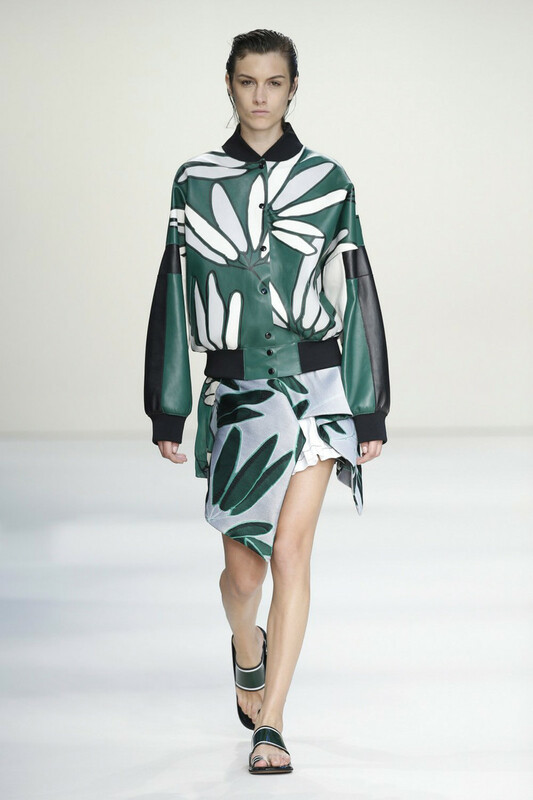 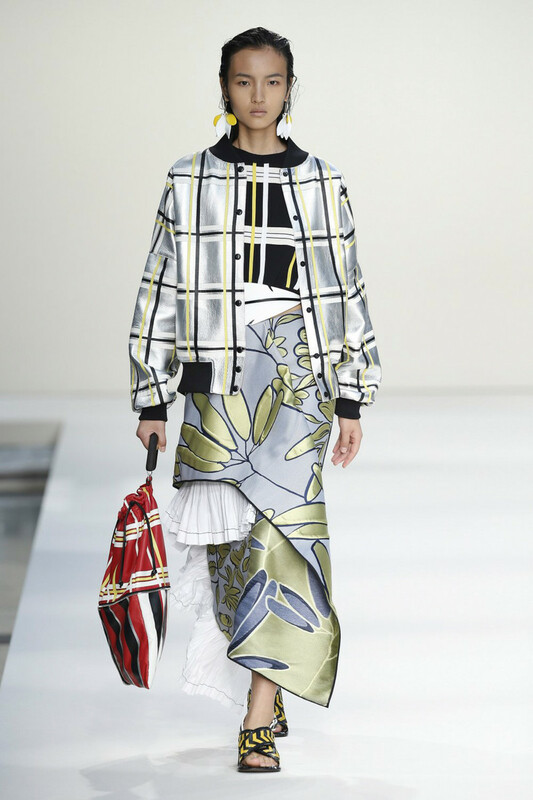 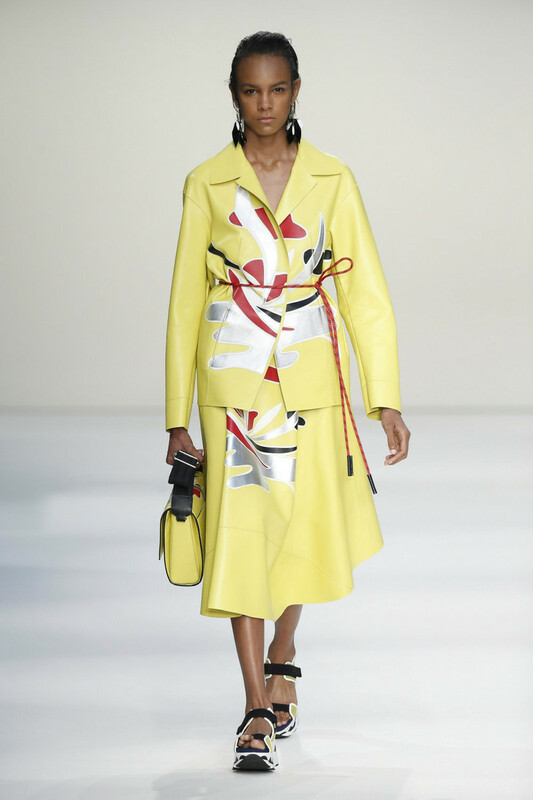 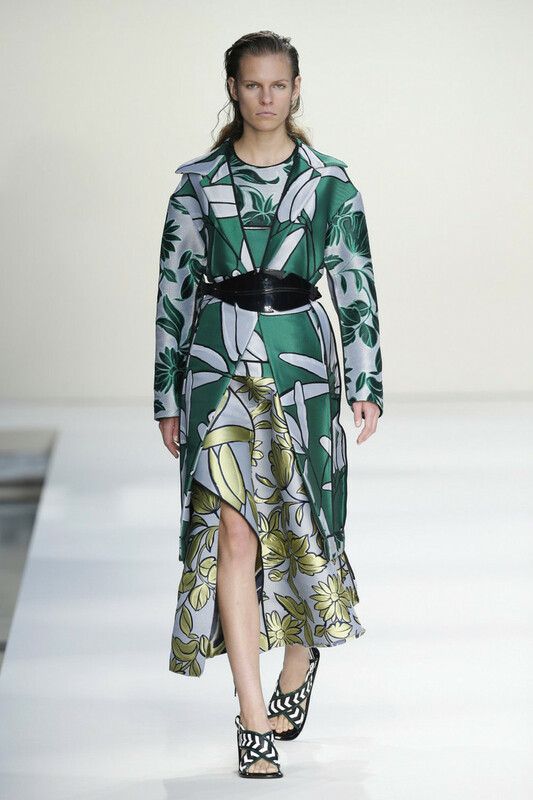 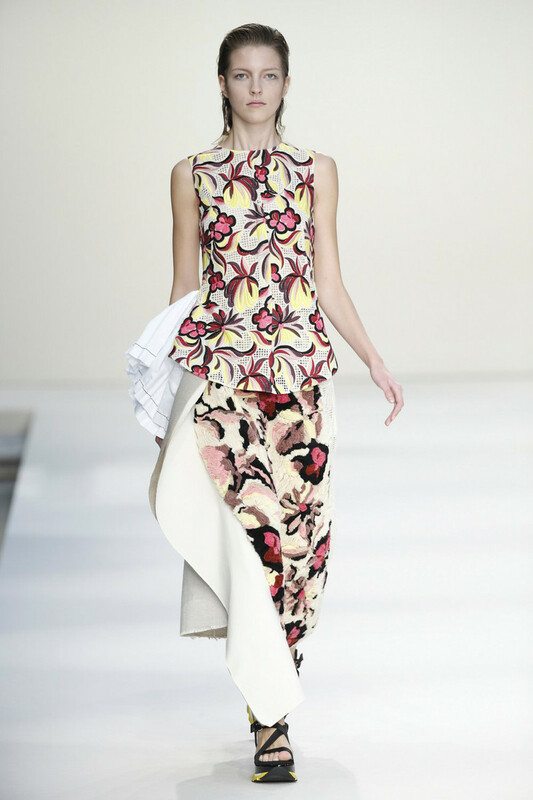 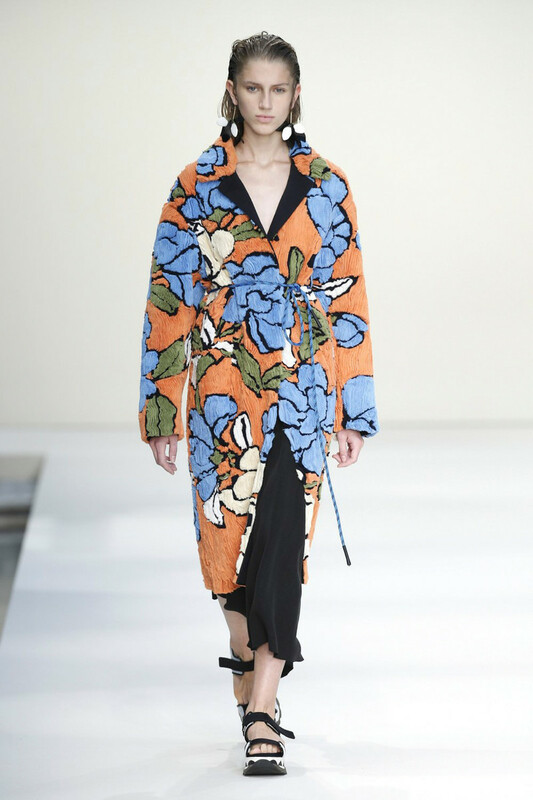 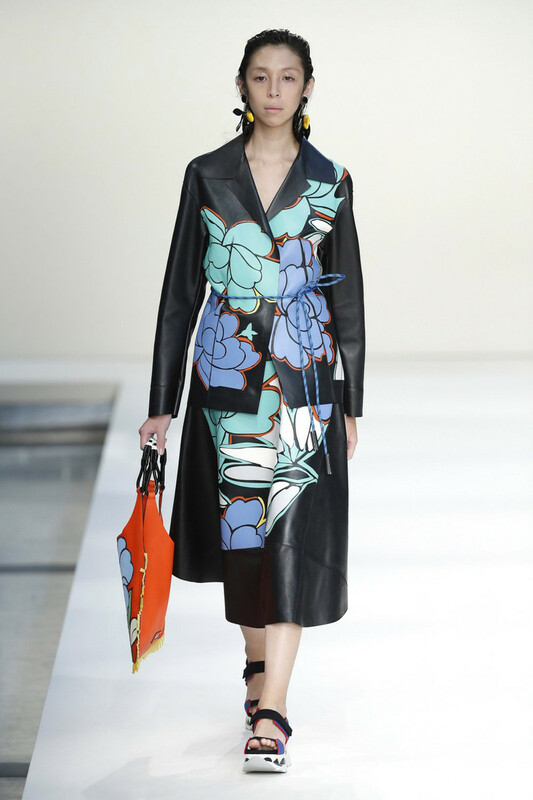 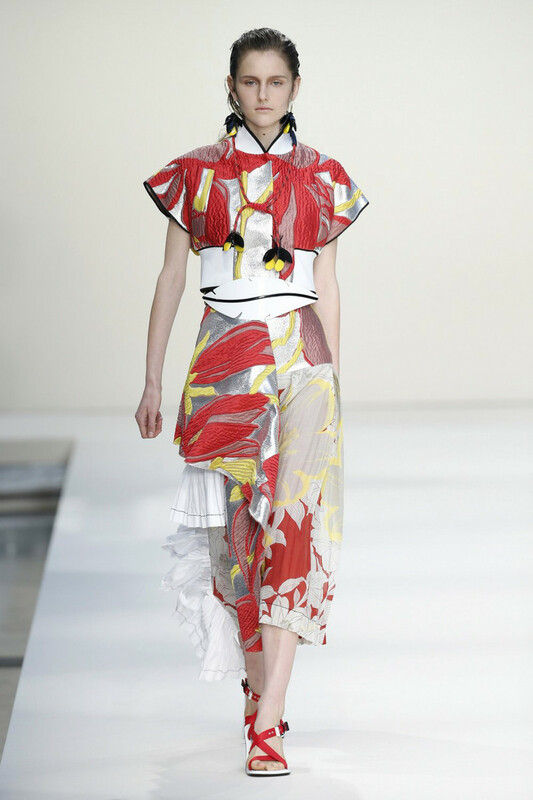 On Sunday Marni was one of the final Italian brands to show their s/s collection in Milan. 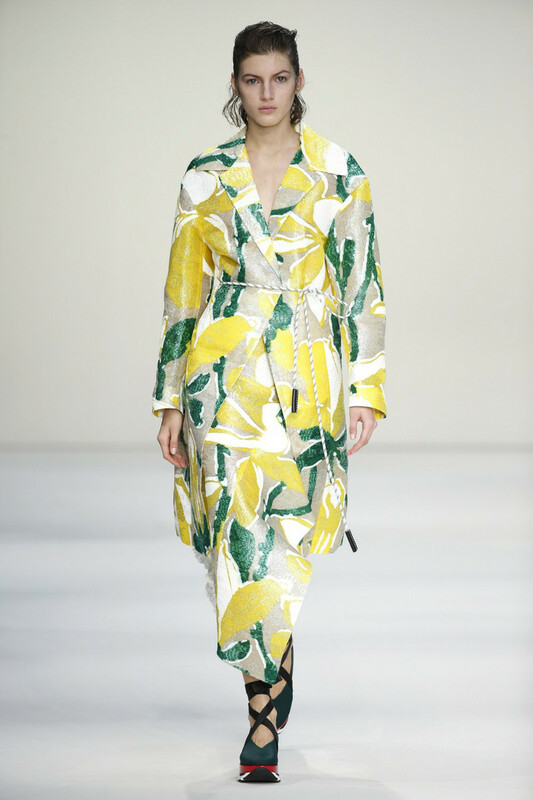 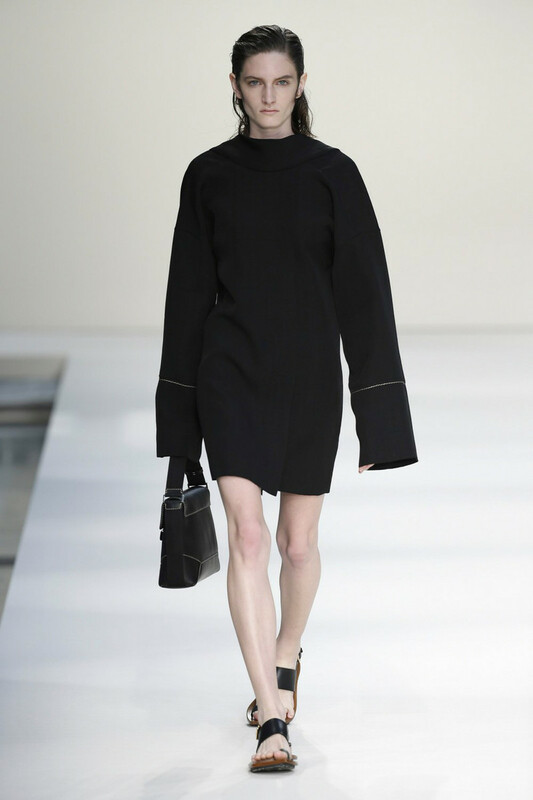 And well, the brand, which is turning 20 this year, made sure Milan Fashion Week went out with a bang. 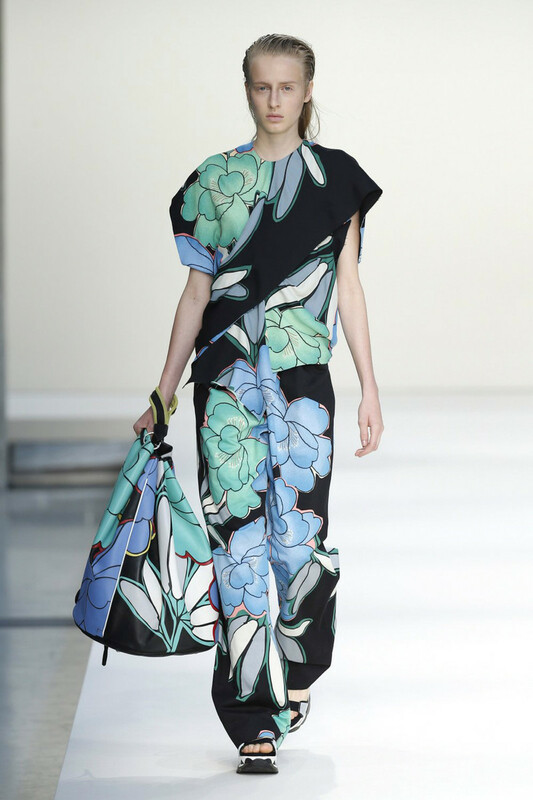 Besides the show Marni set up a large flower market at one of Milans famous 18th century building where the show was held. 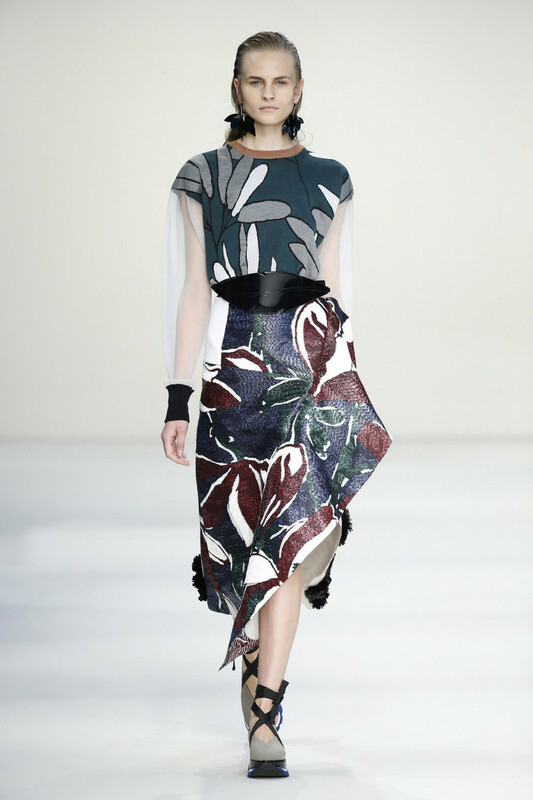 Not only the prettiest of flowers were represented here. 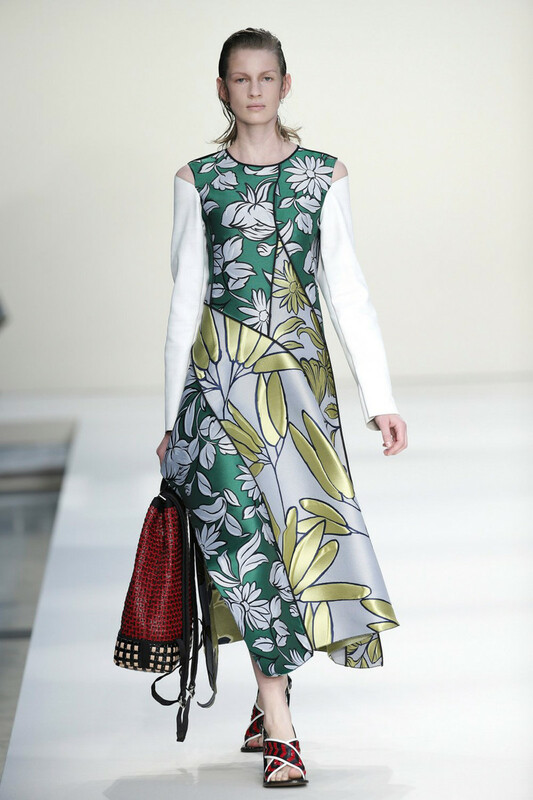 Marni had covered just about any type of gardening essential, decoratively exposed in cheerful (and of course) branded bags. 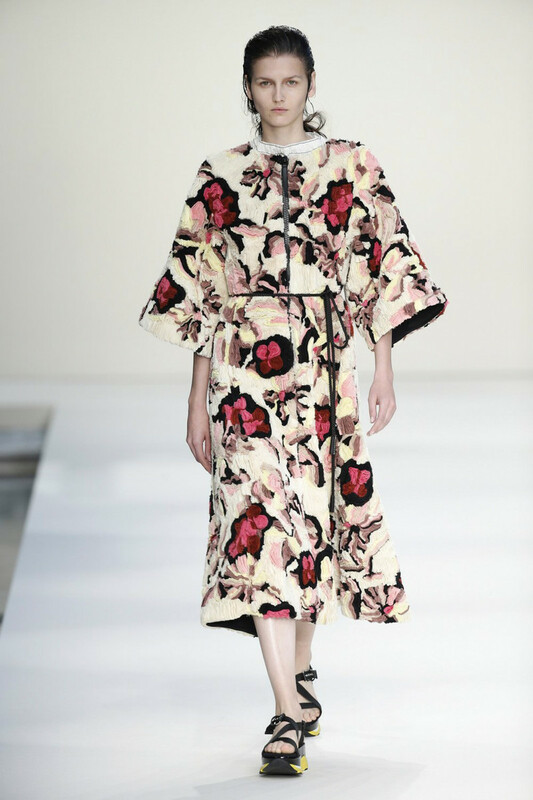 It was a subtle nod to the collection, which involved some mind blowing (made abstract and magnified) floral prints of it’s own. 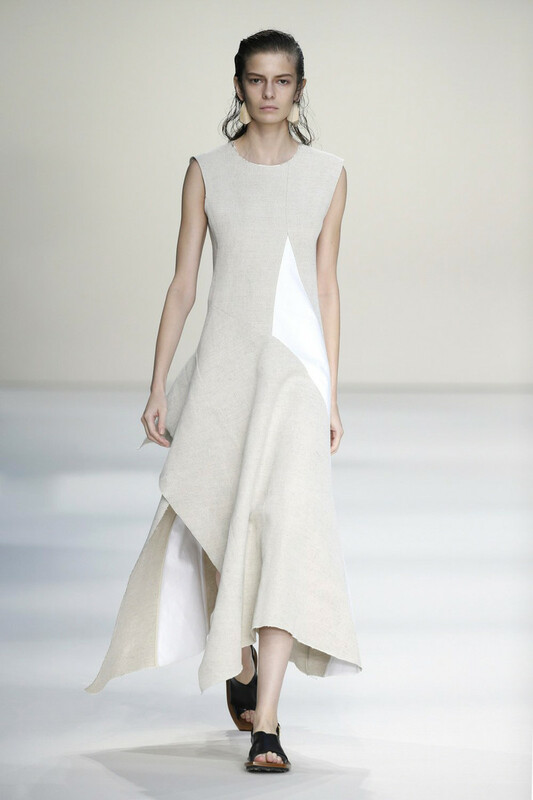 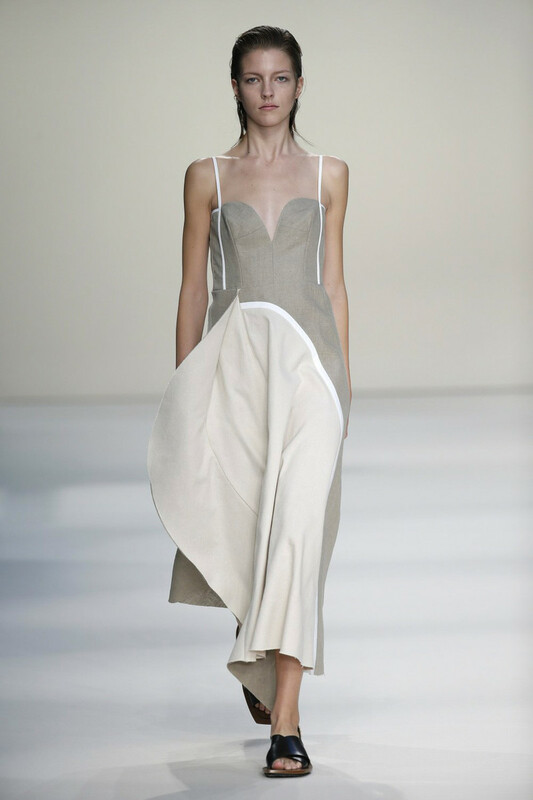 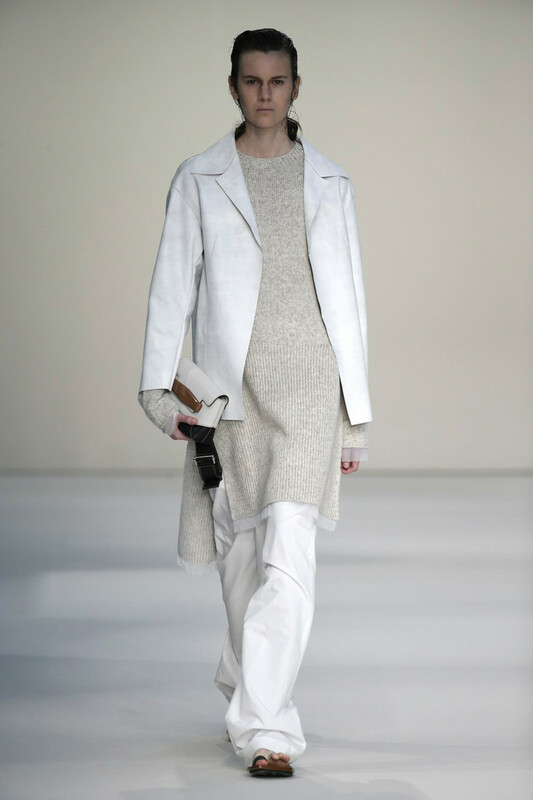 The show started off very serene and calm though, with white, sandy and grey structured, asymmetrical outfits, looking sportive and modern at the same time. 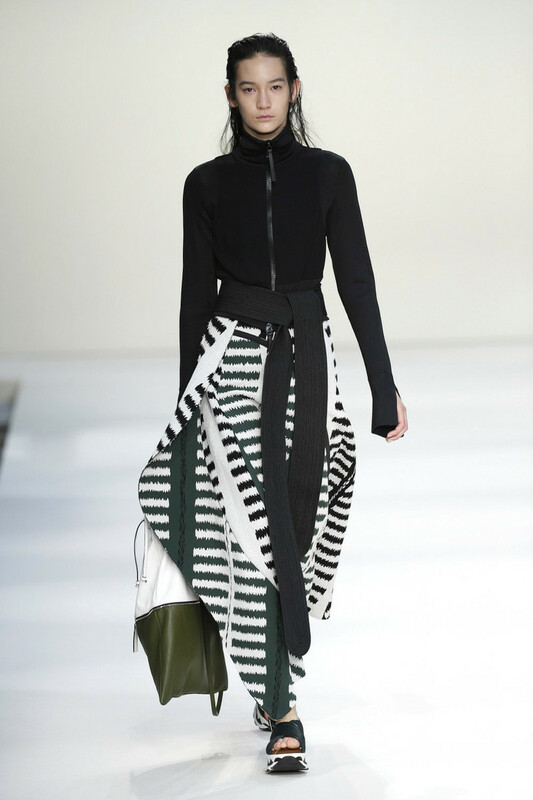 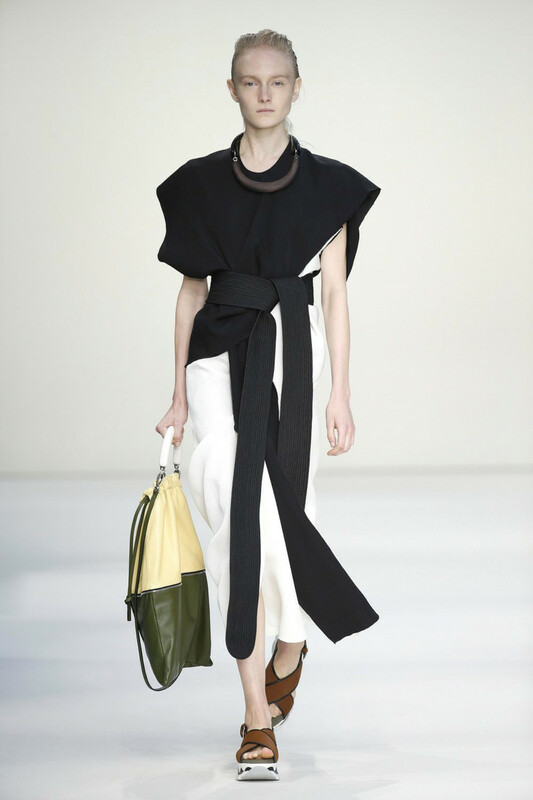 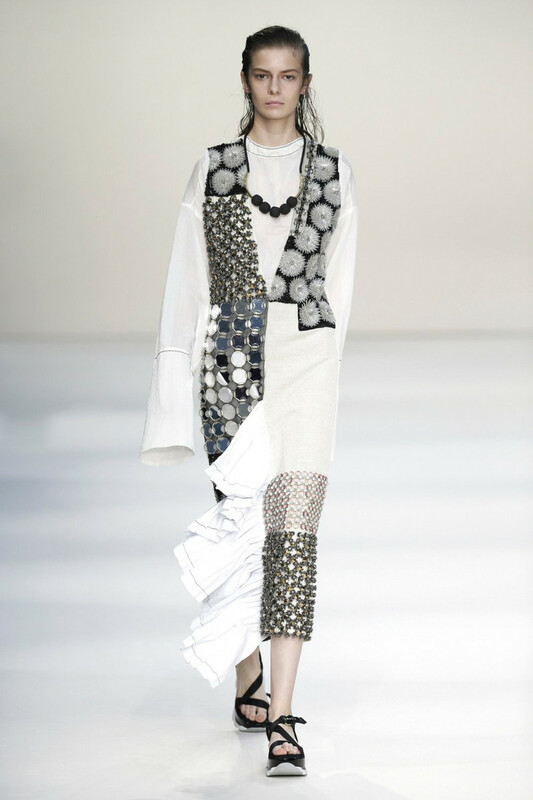 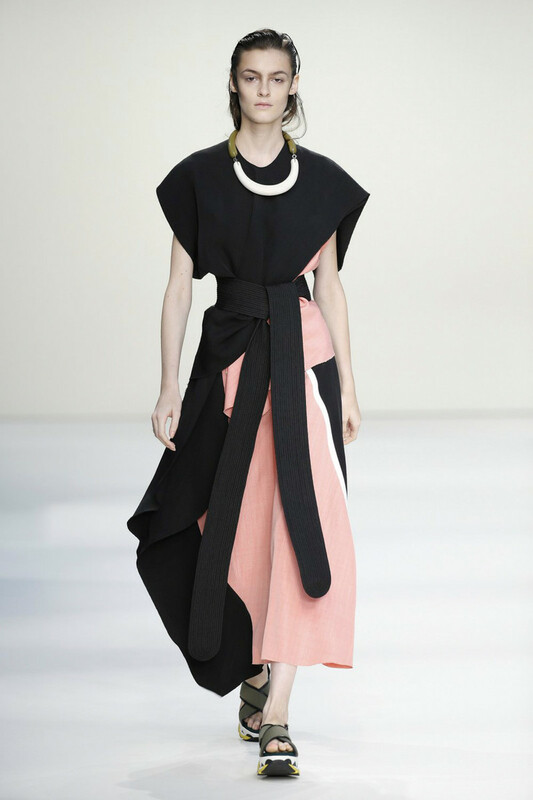 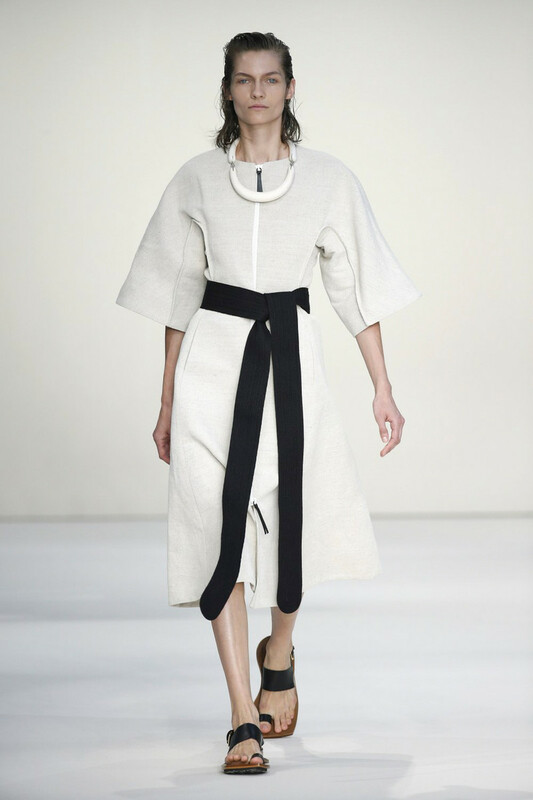 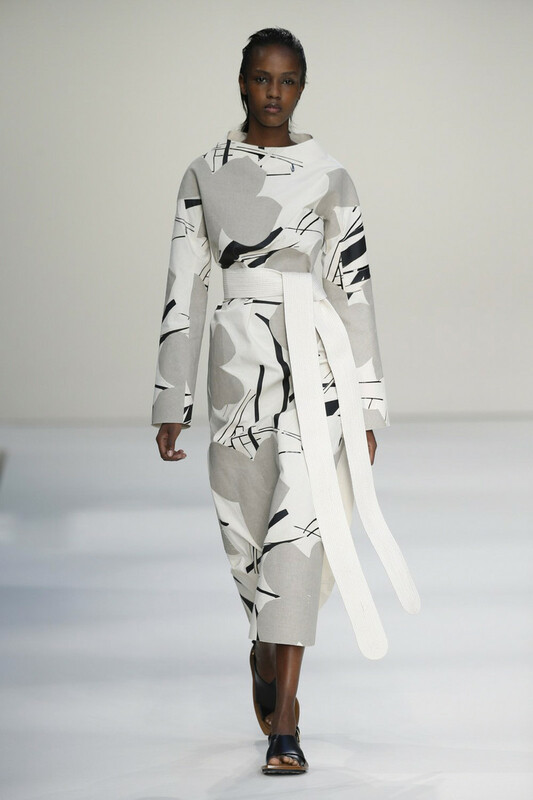 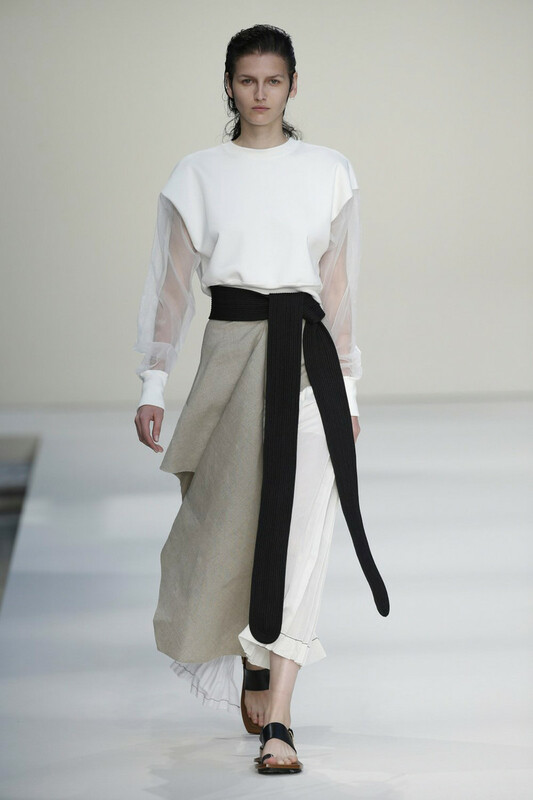 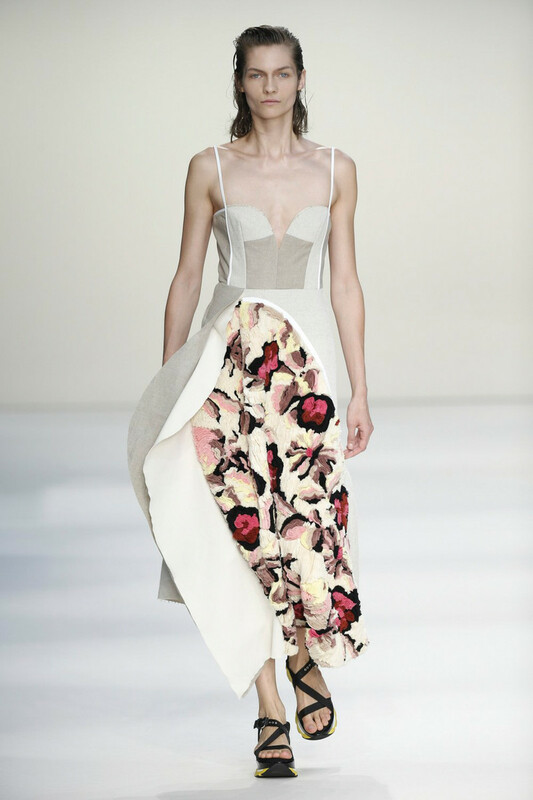 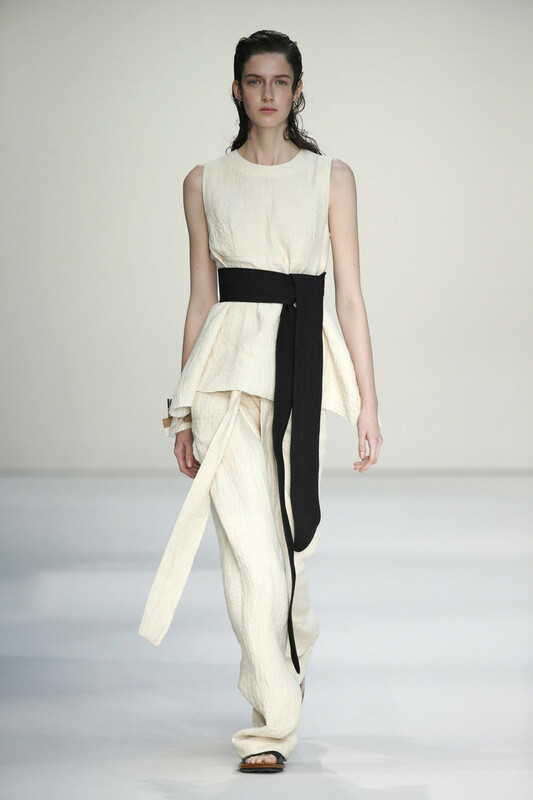 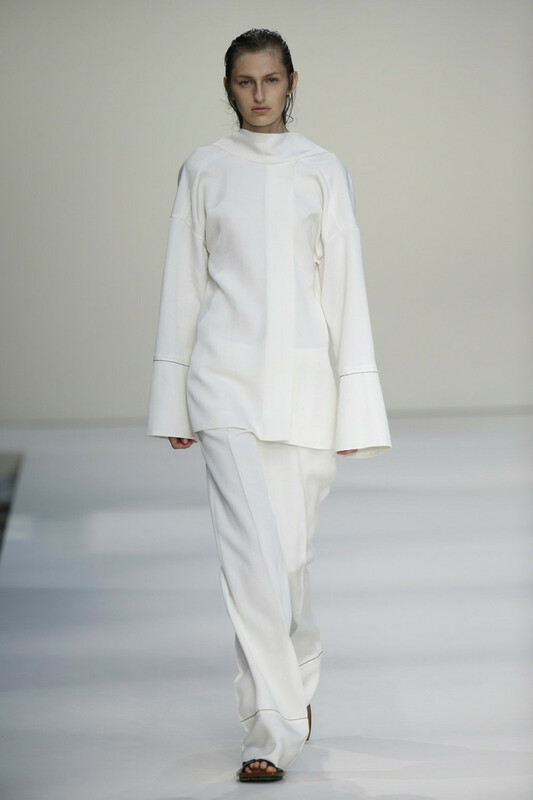 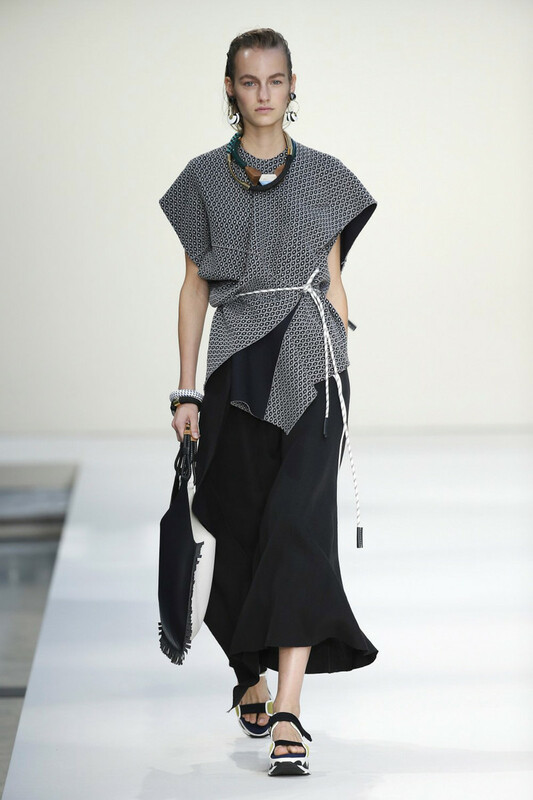 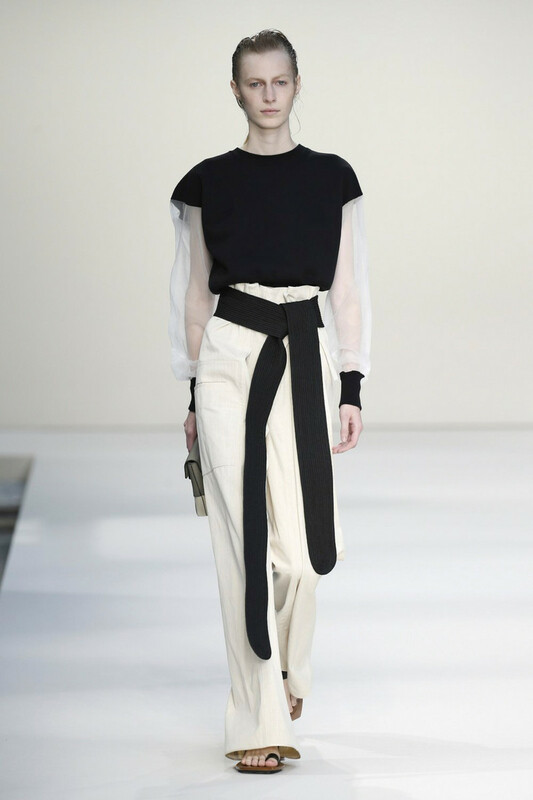 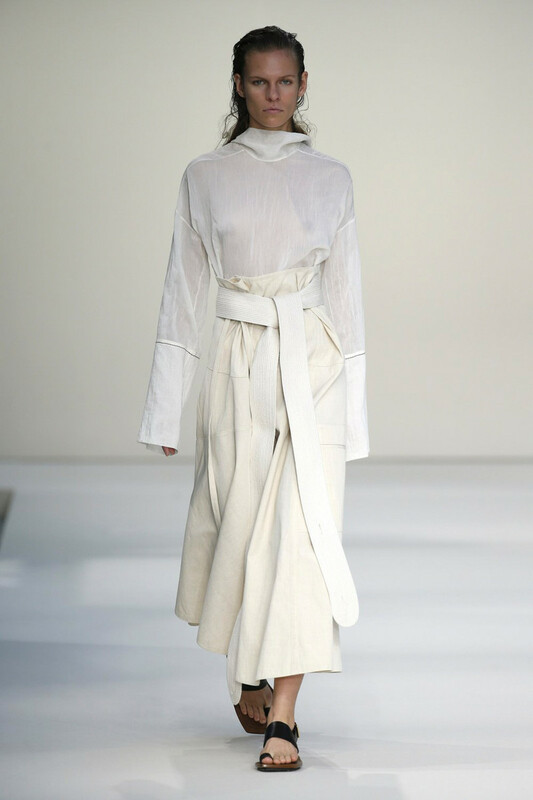 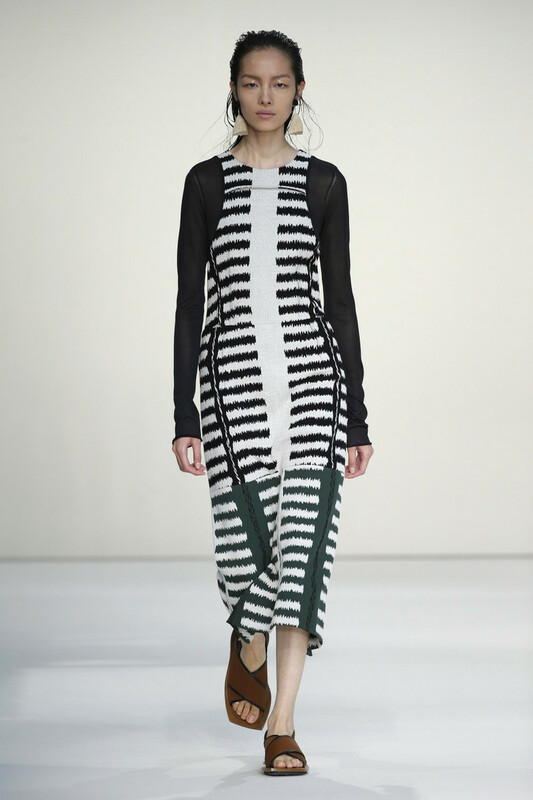 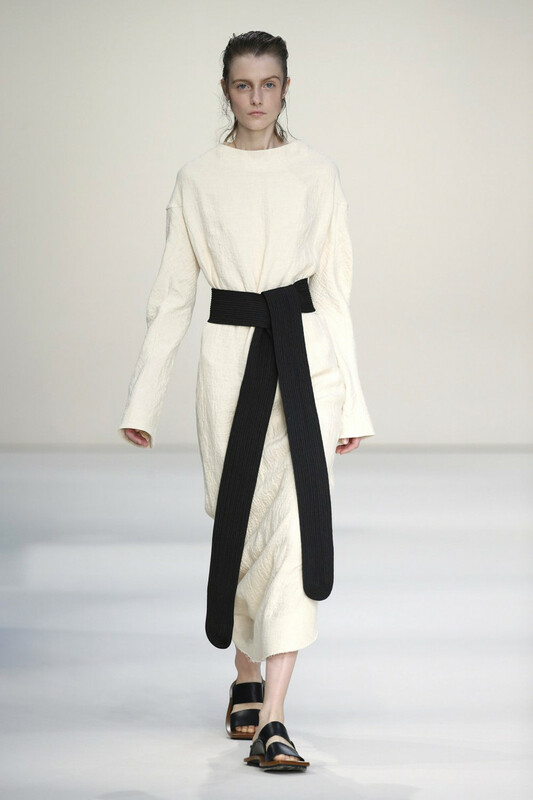 Kimono like sleeves and judo inspired tied belts gave the collection a subtle oriental touch. 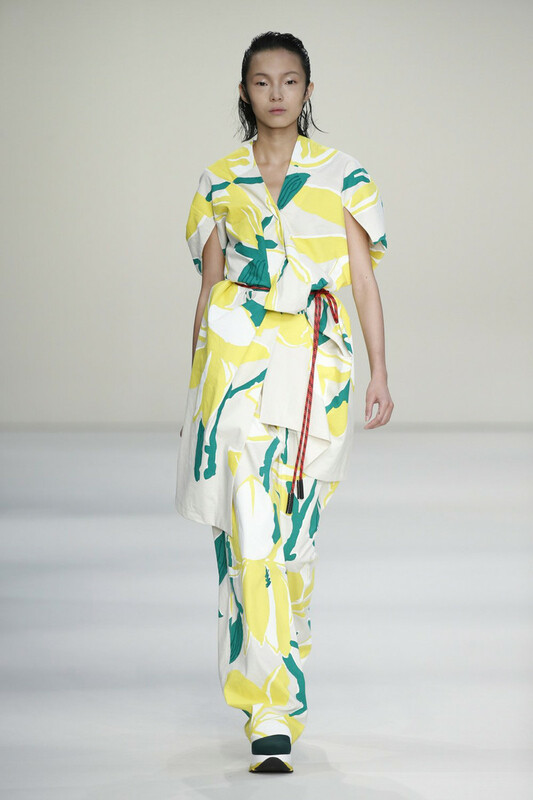 As did the graphic floral prints in green, yellow and red with summer season written all over them. 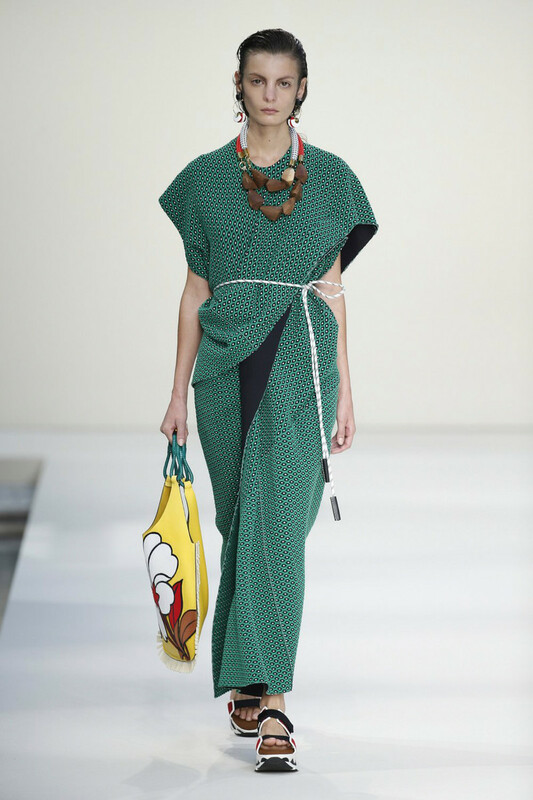 Of course it wouldn’t be a Marni show if accessories didn’t play their part. 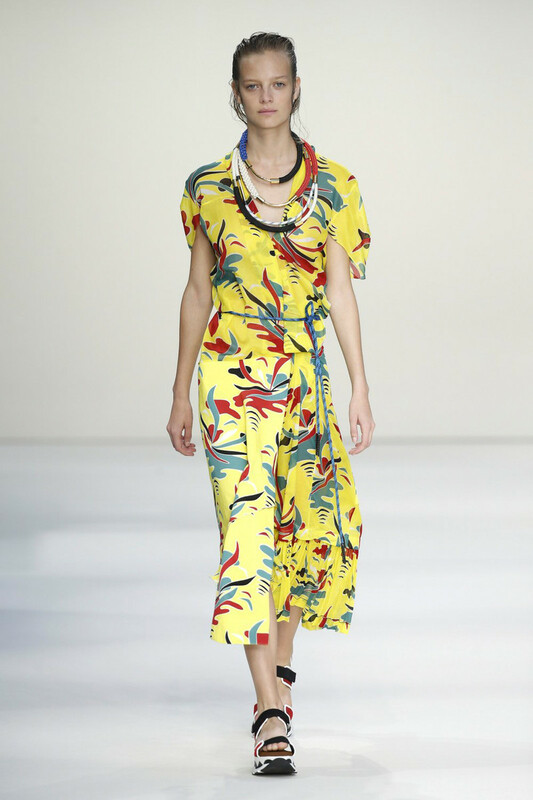 Multiple chunky necklaces worn at the same time, eye-catching earrings, statement bags and some impressive sportive platform sandals made it into a solid summer collection. 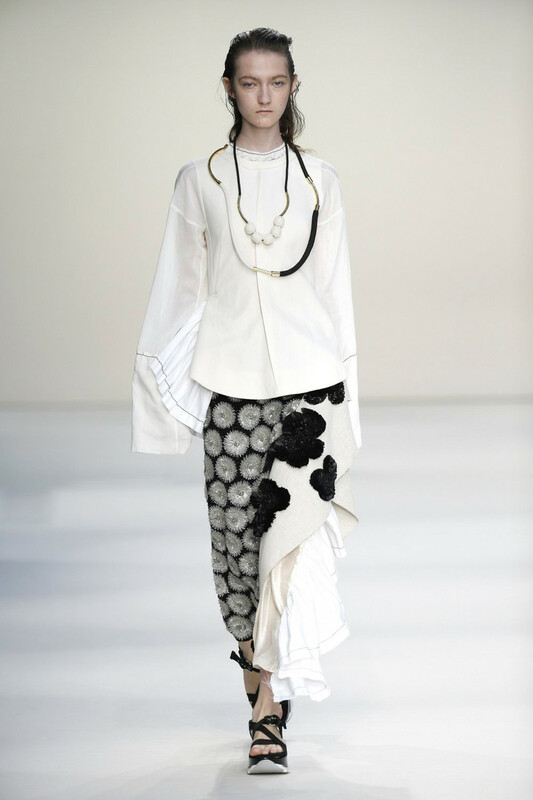 No pulling from the archives, no looking back, no “best of”or “greatest hits”, but a collection perfectly worthy of concluding 20 Marni years.